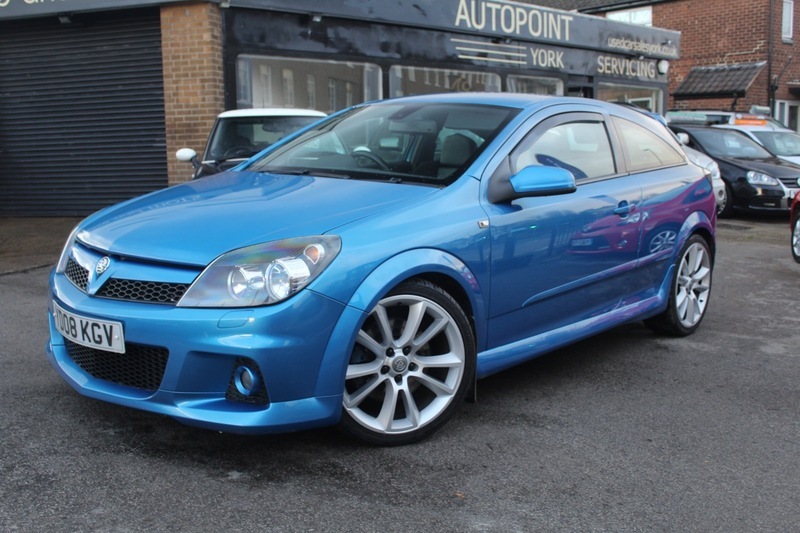 Here we have our Vauxhall Astra VXR finished in the desirable Arden Blue. The car only has 65,420 miles, Full Service History and just had a new Cambelt, Water Pump & Oil Filter. The car also has 4 new tyres and all 4 wheels refurbished. The VXR has had many performance upgrades and is a real chance for you to own a VXR at its fullest potential ! Performance modifications include - Full 3" Piper Turbo Back, Airtec Front Mount Intercooler, Rear Diffuser, AEM Air Filer, Turbosmart Actuator, Turbosmart Re-Circ Valve, EDS Copy Intake Manifold and Upgraded Boost Pipes. The result is 302 bhp ! We have the R n D Dynamo report that will come with the many receipts the car has. The car also comes with Auto Headlights, CD Player, AUX Port, Electric Windows, Air Conditioning, Cup Holders, Electric Mirrors, Boost Gauge, Keyless Door Opening and Start, Leather Recaro Seats, Privacy Glass and Steering Wheel Controls. The finally car comes with MOT, 12 months Service, Warranty, Free AA Cover for a year and Pre Delivery Inspection Report.